The story of foster care is so often accompanied by a boundless melancholy; deceased parents are merely the start to a tragedy that could be tainted with drug abuse, homelessness, and mental health issues. A sorrow so immense that you could swim in it, but this expectation of endless tissues and tribulations is challenged by one organization. 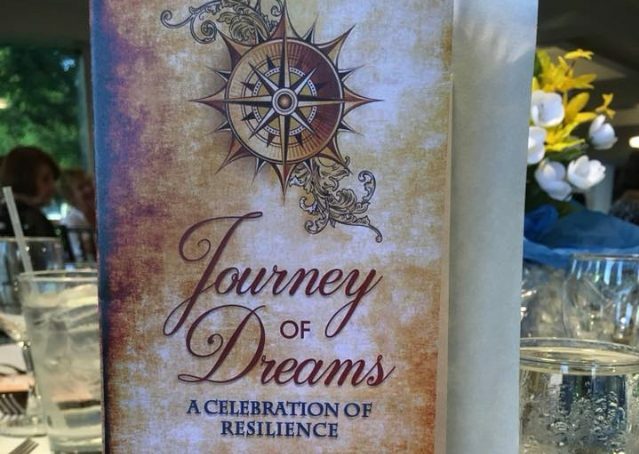 Journey House is a non-profit that assists “emancipated” foster youth, or those have outgrown “the foster care system and are left to fend for themselves” at the age of 18 or 21, by providing financial aid, counseling, housing assistance, and more. And these services are priceless, granting foster youth new opportunities despite the hardships they have had to face during their upbringing. Of the people who have “aged out” of foster care, 97 percent lack a Bachelor’s degree for college/university education and 54 percent do not complete their high school education, but Journey House enables former foster youth to surmount these obstacles and earn a degree or high school diploma. To celebrate the two milestones of academic achievement, the organization held a dinner Tuesday at the Mediterranean Room of the Brookside Golf Club. Camarena also presented the graduates with background of their college/high school and field of education before letting them take the floor to share a personal story or explain the impact Journey House has had on their lives.